This page covers appeals solely within the New Jersey state criminal justice system. We discuss appeals within the federal system elsewhere. Three levels of appeal exist in the New Jersey criminal justice system. The first level is appeal from a municipal court to the Law Division of the Superior Court of New Jersey. The second level is appeal from the Law Division to the Appellate Division of the Superior Court of New Jersey. The final level is appeal from the Appellate Division to the Supreme Court of New Jersey. In rare circumstances, it may be possible to carry the matter further, to the United States Supreme Court. Each level of appeal has a different focus. When handled correctly, each level of appeal will involve a different presentation, geared to the particular focus at hand. The issues will often be different, even though the events that originally gave rise to the case remain, of course, the same. A detailed description of these different focuses is beyond what this discussion can provide. What this discussion does do is to set forth, in broad strokes, how appeals to particular New Jersey courts differ from one another. The overview that we provide is accurate. However, exceptions exist to much that we will present. These exceptions for the most part will be beyond what we can cover here. Despite all the information that we omit, this page is quite long. We considered breaking up this discussion into separate pages. In the end, however, various reasons persuaded us that the different levels of appeal were better presented here in a single page. We provide headings to help readers navigate to whatever portion might be of most interest to them. Charges in New Jersey municipal courts typically involve violations of local ordinances, traffic offenses, and disorderly persons offenses. These charges are resolved by a judge alone, sitting without a jury. This resolution will come about either as a guilty plea, or a trial. Proceedings are taped. New Jersey municipal court convictions can carry serious consequences. Fines imposed, sometimes heavy, are often the least of these consequences. Other consequences can include loss of driver's license, and even loss of freedom. Some convictions will result in loss of employment, and loss of employability. Many municipal convictions can never be expunged. It is because of consequences such as these that defendants would consider an appeal in the first place. The appeal from a municipal court ruling begins with filing a Notice of Appeal. This filing is done both at the municipal level as well as at the county level. The deadline in New Jersey for filing this Notice of Appeal is twenty days. This twenty day period normally begins to run on the day that the municipal court judge imposes sentence. Together with this Notice of Appeal, the defendant must order a stenographic transcript of what took place in the municipal court. The defendant must pay a deposit for the transcript. He must also pay to the court a filing fee for the appeal. The court administrator of the municipal court will tell the defendant the amount of the transcript deposit. The appeal from a New Jersey municipal court to the Law Division occurs in what is called a “trial de novo on the record.” De novo means that it is, in effect, a brand new trial. The defendant begins this new trial with a presumption of innocence, just as in municipal court. And the prosecutor, just as in municipal court, is required to establish beyond a reasonable doubt all elements of the offense. Thus, the Law Division judge will be looking at the case afresh. After filing the Notice of Appeal, the Law Division will set a schedule. This schedule will include dates on which legal briefs are to filed, as well as what the appeal hearing date will be in the Law Division. What “on the record” means, however, is that what happens on this appeal hearing date will be based upon the record that was made in municipal court. That's where the stenographic transcript comes in. As mentioned above, when the appeal if filed, the defendant (or his lawyer) is required to order this stenographic transcript of all proceedings in the municipal court. Evidence that the Law Division judge will consider is normally limited to whatever evidence was presented to the municipal court judge. This evidence will consist of the recorded testimony, any physical items entered into evidence, and other facts of which the municipal court judge may have taken “judicial notice.” New evidence is normally barred. For this reason, it is absolutely necessary to present at the municipal court trial whatever evidence the defendant might possibly want a reviewing judge to consider in event of an appeal. We mentioned above that the Law Division judge looks at the case afresh. That is only partially true. As stated, the Law Division judge will begin his review by recloaking the defendant with a presumption of innocence. And if the Law Division judge ultimately finds the defendant guilty, he will decide afresh what sentence to impose. If interpretations of the law are at issue, the Law Division judge is expected to make his own rulings, and not roboticly follow the rulings of the municipal court judge. All of those rulings may or may not be the same as the rulings of the municipal court judge. The review of the New Jersey Law Division judge is not afresh, however, when what is involved are determinations concerning credibility of witnesses. In the course of rendering his original decision, the municipal court judge will have placed on the record his assessment of the “credibility” of the testifying witnesses. This “credibility assessment” is just a fancy term meaning the judge is saying which witnesses he believes, and which witnesses he does not believe. The Law Division judge will normally defer to these credibility findings. The reason for that deference is that since this appeal is “on the record,” it is only the municipal court judge who will have had the opportunity to actually see the witnesses, observe their demeanor, and their body language. The Law Division judge, not having that opportunity, therefore, will rely upon remarks that the municipal court judge placed on the record. Our discussion to this point has centered around appeals from municipal courts to the Law Division. In discussing appeals from the Law Division, it is helpful to understand that many (perhaps most) such appeals will involve cases decided in the Law Division originally. Remember that it is only cases involving local ordinances, traffic offenses, and disorderly persons offenses that will have been tried initially in municipal court. With extremely rare exceptions, all criminal cases will have been decided originally in the Law Division. The appeal process from Law Division to Appellate Division is essentially identical regardless of whether or not the original trial was in municipal court. If the jury, or the Law Division judge, rules in the defendant's favor, the case is normally over. The State has no right to appeal that ruling since such appeals would violate the defendant's constitutional protection against being exposed to “double jeopardy”. A major exception, however, is when the ruling that ended the case in the Law Division was based upon a legal issue, as opposed to a finding of guilt or innocence after a trial. The State often does have the right to appeal from such issues. 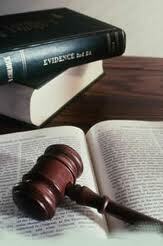 If the matter in the Law Division involved an expungement, any dissatisfied party will have the right to appeal. This is because no constitutional double jeopardy protections exist concerning expungement decisions. Like the appeal from municipal court to the Law Division, the appeal begins by filing a Notice of Appeal. Where the deadline for filing that Notice from municipal court was twenty days, the deadline to file the Notice of Appeal from the Law Division to the Appellate Division is now forty-five days. This forty-five day period normally begins to run on the date of sentencing in the Law Division. Accompanying this Notice of Appeal must be a new request for transcript, a new transcript deposit, a Case Information Statement, and a copy of the Judgment or Order being appealed. References to transcript here relate to proceedings before the Law Division. The transcript of proceedings before the municipal court (if the case began there) will already have been obtained in connection with the first level of appeal. As with appeals from municipal courts to the Law Division, the defendant will be required to prepare and file a brief. Preparation of this brief is highly technical. It must contain a procedural history, a statement of facts, legal arguments, and a conclusion. Formal briefs must have a Table of Contents, and a Table of Authorities. It may include a preliminary statement. It is also necessary to prepare and file an "appendix" to the brief, and a Table of Contents to the Appendix. The appendix will consist of documents already made part of the record, as well as additional documents specified in New Jersey Rules of Court. The Appellate Division normally issues a scheduling order after the appeal is filed. This scheduling order specifies when each brief and appendix is to be filed. In the trial in the municipal court (if the trial began there) and in the Law Division, the judge or (in the Law Division) jury will have already considered factual disputes and resolved those disputes one way or the other. By way of contrast, the Appellate Division will almost never resolve factual disputes. The Appellate Division will normally consider only legal issues. It is the function of juries (where a right to trial by jury exists and is exercised) to resolve factual issues. Since the Appellate Division does not resolve factual issues, there will never be a jury on an appeal before the Appellate Division. As a matter of routine, appeals in the Law Division include appearances before the assigned judge, and oral argument. The opposite is the case in Appellate Division. In the Appellate Division, oral argument normally occurs only if one of the parties makes a specific request for it. This request must be in writing. The request must be filed very shortly after briefs are submitted. When no request is made, oral argument will be held only if the Appellate Division judges decide on their own that they want it. That sometimes happens, but very rarely. The appeal in the Appellate Division will ultimately be decided by a panel of judges. The number of judges on this panel will be either two or three. 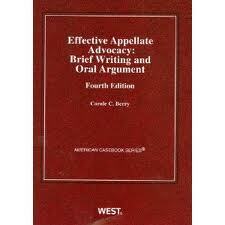 When there is no oral argument, the judges will decide the appeal solely upon the briefs and appendices submitted. When oral argument is held, the panel, at the conclusion, “reserves decision.” Thus, regardless of whether there is oral argument, the Appellate Division notifies the parties of the outcome of the appeal by mail, or by email. Dissatisfied parties have a right to appeal to the Supreme Court of New Jersey only in limited circumstances. Generally, these circumstances are when a judge on the Appellate Division panel that decided the appeal disagreed with the outcome there; or where a “substantial” constitutional issue exists. Where no right to appeal exists, a dissatisfied party may ask the Supreme Court of New Jersey to review the matter anyway. This is done by what is called a “petition for certification.” This petition for certification takes the form of a brief. It must also include an appendix. The contents of this brief and appendix are very different from the brief and appendix that will have been previously filed in the Appellate Division. Before even filing the petition for certification, the person seeking Supreme Court review must first serve and file a “notice of petition for certification.” This is a document that serves to alert the other parties and the Court that an actual petition for certification will be forthcoming. The notice of petition for certification must be filed within twenty days of the decision from the Appellate Division. The petition for certification itself must be filed within thirty days from the Appellate Division decision. This deadline can sometimes be extended by up to an additional thirty days. Either way, they don't give you much time! After jumping through these hoops, the Supreme Court of New Jersey will grant the petition for certification only under very limited circumstances. In most instances, that Court will refuse to consider the case at all. Where the Court does grant certification, the matter will largely proceed thereafter the same as if it were an appeal taken as of right. Where a right to appeal to the Supreme Court of New Jersey does exist, the deadline for filing a notice of appeal is forty-five days. That time begins to run when the Appellate Division renders its decision. Appeals to the United States Supreme Court are possible. A prerequisite to that appeal is to take the matter as far as can be taken in the New Jersey court system. Put differently, all New Jersey state remedies must first be exhausted. That prerequisite is satisfied only when the Supreme Court of New Jersey has acted. As we have already seen, the Supreme Court of New Jersey can act in either of two ways. The first way is to entertain the appeal, either because one of the litigants had a right to Supreme Court review, or through certification. The second way the Supreme Court can act is to refuse to grant certification. Either of these ways satisfies the exhaustion requirement. A second prerequisite exists: The United States Supreme Court will consider such an appeal only when a federal issue is implicated. Thus if issues in the case are limited to interpretations of just New Jersey law, then the United States Supreme Court lacks jurisdiction to even consider the case. As mentioned above, there is ordinarily no right to review by the Supreme Court of New Jersey. Review is typically obtained by persuading the Supreme Court of New Jersey to grant a petition for certificaion. 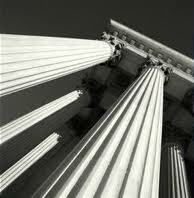 Analogously, dissatisfied litigants have no right of review in the United States Supreme Court. Review becomes available only when the the dissatisfied litigant persuades the United States Supreme Court, in its discretion, to hear the case. The mechanism by which this is accomplished is by seeking from that Court a writ of certiorari. We discuss this writ of certiorari, and appeals to the United States Supreme Court in greater detail elsewhere on this site. The lawyer who represents a defendant at any given level of proceedings need not be the lawyer to represent the defendant on the next (or first) level of appeal. Sometimes a single lawyer does handle a case all the way up the ladder. 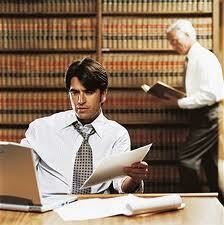 However, it is not uncommon for a new lawyer to be brought in at any particular level of appeal. Advantages and disadvantages exist for each choice in that regard. This entire discussion has barely scratched the surface. We have qualified various statements in our discussion with the word “normally.” Statements qualified with that word, and many that we did not so qualify, might hold true perhaps ninety-five percent of the time, or more. Lawyers who handle appeals on a regular basis know where exceptions exist. And these lawyers know how to use those exceptions to the advantage of their clients. For that reason, and because of the complexities of appeals, and the legal system in general, help from a lawyer knowledgeable in appeals is vital. Persons who fail to seek medical attention after contracting pnumonia sometimes get better. And persons who handle appeals without lawyers sometimes succeed. But persons who attempt to handle such matters without a lawyer are at a huge disadvantage. Page last updated 20 August 2017, and displayed Thursday 18 April 2019, at 06:17:56 EDT.